MamaBreak: Boogie Wipes are a MUST for Cold and Flu Season and Back to School! Boogie Wipes are a MUST for Cold and Flu Season and Back to School! I got a sample of Boogie Wipes a couple of years ago, and have been wanting to review them ever since! I have a 5 year old who has a perpetually runny nose, and it only gets worse in the winter! I hate wiping his face with a Kleenex because his little nose is so sore, and it does not really come clean. I love the wipes because they clean very effectively, but are not harsh on my kids' skin! They allow me to get their faces clean without leaving behind a mess. I carry them with in my purse for all those "just in case" moments! 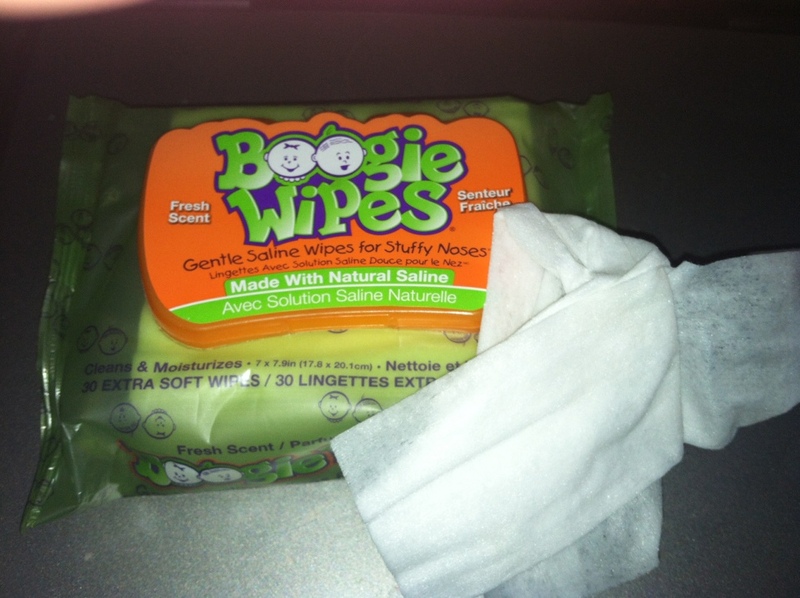 Boogie Wipes are made with natural saline and have a nice smell to them. I have replaced my in-purse Kleenexes with Boogie Wipes! The come in a variety of packaging and scents for a variety of nose needs! We love that they are available at many retail stores in large varieties such as Target and Walmart! MamaBreak received Boogie Wipes products so that we could adequately review it here on the site. We did not receive any other kind of compensation. As always, our experiences and opinions are our own. I have not tried these they sound perfect for having in the car, I am always sneezing while driving through the fields around here. Also keep some in the kids backpacks too. thank you for sharing. I never tried these! I would love to try this someday as I have 2 younger children that are more prone to getting colds. I do love kleenex. However, I think these sound better!! These sound much better than the travel packs of Kleenex that always seem to leave fuzzies on my kids still snotty noses. I'll definitely have t stock up on these! I've never heard of these but they sound great. I constantly have a runny nose in the winter. I like that these aren't harsh but effective. I'm super sensitive to everything in site and my nose likes to run. These would come in handy. I have heard great things about these, and the name cracks me up! But seriously, I really need to invest in some of these especially with school in session now! Thanks!